With rock-bottom property taxes compared to neighboring states, now is the time to consider townhouses in Wilmington, DE. Savvy home buyers are quick to appreciate the many perks of Darley Green – a brand new community situated in Delaware’s Claymont Renaissance district, just moments from museums, world-class botanical gardens and other celebrated Wilmington tourist attractions. Explore historic colonial towns, take in a rousing game of baseball, or enjoy a day at the zoo in this up-and-coming destination. With so much to see and do, this vibrant city attracts visitors of all ages and offers entertainment for the entire family. The sightseeing in Wilmington is second to none, with attractions that cater to a variety of interests. Here’s a small sampling of the most popular attractions. Brandywine Valley – located on the outskirts of Wilmington, this picturesque countryside is stunning year-round but is especially lovely during spring and fall. The valley is dotted with several wineries and boasts the Brandywine River museum. Frawley Stadium – take in a game of minor league baseball at the Frawley stadium, home of the Wilmington Blue Rocks. A wonderful and family-friendly escape for an afternoon of fun. Delaware Art Museum – you don’t have to be an art buff to appreciate the diverse works that take center stage in this museum. Features American works from 1840 until present with a nice selection of pieces from both Wyeth and Pyle, in addition to a six-acre sculpture park. Brandywine Zoo – visitors can partake in educational programs and seasonal camps, or just stroll the grounds and glimpse exotic species like two-toed sloths, monkeys and wild cats. Hagley Museum and Library – an enchanting mix of history and science, the Hagley museum traces the history of the DuPont family, and includes numerous live demonstrations. Nemours Mansion & Gardens – book a tour of the immaculately maintained DuPont family mansion for a slice of incredible history. Often compared to some of the smaller palaces in Europe, this Louis XVI chateau is wonderful during the holidays, when twinkling lights and decorations add to its charm. Delaware Children’s Museum – geared toward kids age 10 and under, the museum delights with tons of learning activities that encourage hands-on participation. Christina Riverboat Company – informative boat tours of the Brandywine and Christina Rivers, where captains entertain with historical narratives interspersed with fascinating anecdotes. Rockford Park and Tower – offering sublime views over the Wilmington skyline, this park has tons of wide open spaces perfect for family picnics and sports activities. Miles of wooded trails surround a 100-year old tower – the centerpiece of the park. If other Wilmington homes for sale have left something to be desired, don’t despair. Your dream of owning a luxurious yet affordable townhouse is attainable! The Montchanin Builders have created the master-planned community of Darley Green with you in mind, taking into account the preferences and needs of the modern homebuyer. Each new home is built with high-end finishes including gourmet kitchens with breakfast bars, energy-saving gas heating and oversized walk-in closets. And residents adore the old-fashioned ambience of this traditional neighborhood, where public gathering areas, shops, restaurants and a newly-constructed library are just steps from your door. 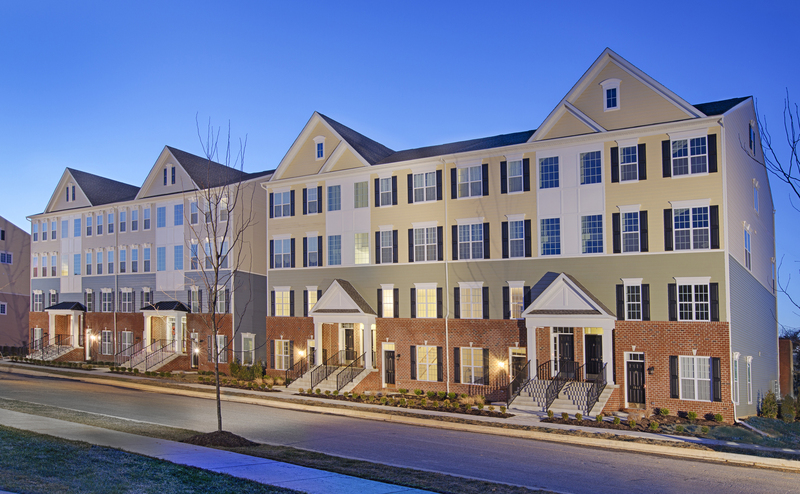 And if you’re craving even more big city fun, beautiful Delaware townhouses are conveniently located just 20 minutes from Philadelphia, with quick access to both I-95 and I-495. Come browse our model homes any day from 11AM to 5PM. For additional information, or to schedule an appointment, please call our Information Center at 302.655.2600.